The Newest Crappie Tournament Trail for 2017, American Crappie Trail, now offers the winner of each tournament a New Ranger Boat! That’s right, if you are an Angler or Team who loves to compete and put some cash in your pocket or a New Ranger Boat under your feet, this is the Crappie Tournament Trail for you. A New Ranger Boat for the Winner, $8000.00 to 2nd Place and all Top 20 teams double their entry fee or more earnings, based on a 100 boat turnout! But, the best part. If you decide to fish each Tournament and never take home 1st Place. Well, you could still win a New Ranger Boat by winning Angler team of the year! The American Crappie Trail offers a unique Lake Schedule. With waterways know for producing Big Crappie we have a feeling scales will be tipped to the heavy side. The 5 Tournaments are scheduled to take place on Truman, Sardis, Lake D’arbonne, Kentucky and the majority favorite, Grenada Lake, Mississippi. 10. OFF LIMITS: Tournament waters will be off limits the 10 DAYS prior to the first day of official PRACTICE (Monday). EXAMPLE: Tournament is March 10TH & 11TH. Official practice is March 6TH, 7TH, 8TH AND 9TH. OFF LIMIT PERIOD ON TOURNAMENT WATER IS FEBRUARY 24TH-MARCH 5TH. Tournament waters are off limits at 4:00 pm the day prior to the start of the competition unless otherwise stated on the Tournament Information page. Anglers must stop fishing at 4:00 pm the day prior to the start of competition, then exit the water and be off the water by 4:30 pm. Another added bonus of fishing an American Crappie Trail Tournament is TV coverage. That’s right your name and tournament highlights will be televised on the Pursuit Channel. 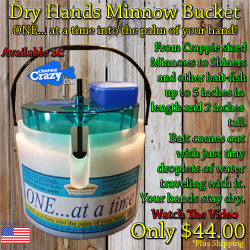 To us here at CrappieCrazy.com, we believe this Tournament Trail is not for the average Joe… but, it could make dreams come true to the weekend Crappie Angler and the Veteran Crappie Pro. With great rules, big fish lakes and big payouts, The American Crappie Trail is already the Premier Crappie Tournament Trail before the first tournament! 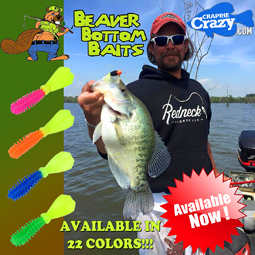 If you plan on fishing an American Crappie Trail Tournament look for our, CrappieCrazy.com Pro Staffers or Pro Staff Teams and say hi. They might just have something for you. Want more information about American Crappie Trail please visit www.AmericanCrappieTrail.com.